Winter is Coming…and so is another Alien Cyborgs Giveaway! 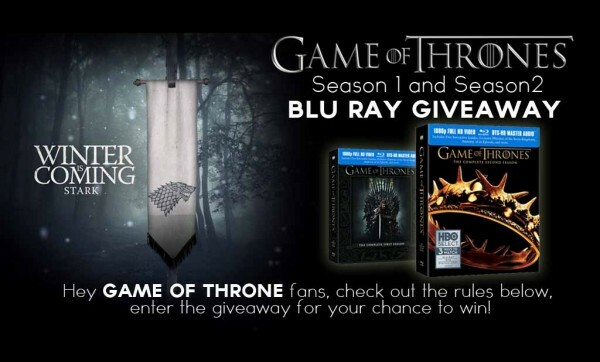 Enter to The Game of Thrones Blu Ray Giveaway for a chance to win, the more times you enter the better your chances are to win. 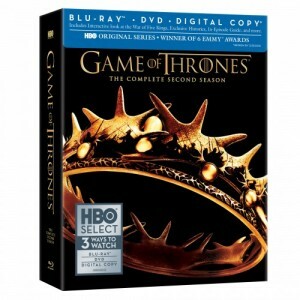 One lucky person will win Seasons 1 and 2 based on the fantasy series A Song of Ice and Fire, by George R. R. Martin on Blu Ray to add to their collection and get all caught up on Game Of Thrones Drama. 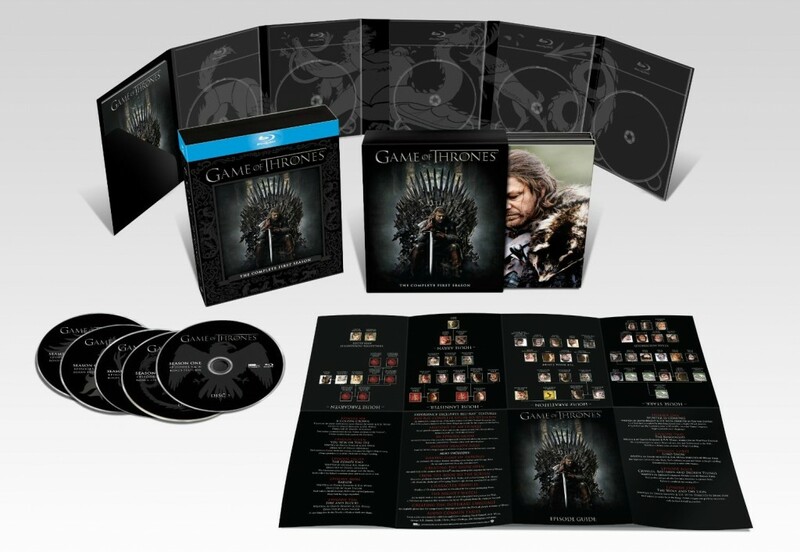 Season One Includes: Two Interactive Guides, Exclusive Histories of the Seven Kingdoms, Anatomy of an Episode, and more! Season Two Includes: Blu-Ray, DVD and a Digital Copy. Also includes Interactive Look at the “War of Five Kings” Exclusive Histories, In-Episode Guide, and more! 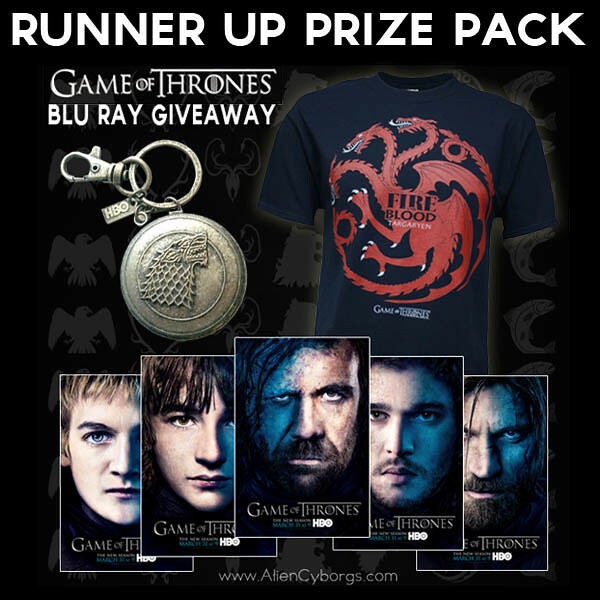 We have “Game Of Throne” T-Shirts for three lucky runner ups! T Shirts design and sizes may vary from the shirts shown in the picture above. Keep an eye out, we may have more to come. Assorted posters to go with the shirts! 2) You MUST “SHARE” the “Game Of Thrones” Promo Graphic on your page! 3) You MUST get a new friend to “LIKE” the Alien Cyborgs Facebook page to become eligible! For every friend that you get to LIKE the page it gives you another chance to win! Congrats, YOU are now eligible for a chance to win…but your friend is NOT! If He/She wants a chance to win, He/She must repeat the steps above! They must now get another friend to “LIKE” and SHARE the Alien Cyborgs Facebook page. Then they must message us via VIA THE COMMENTS SECTION BELOW with a name of the “CONFIRMED” friend who has LIKED the Alien Cyborgs Facebook Page.…and so on and so on and so on! 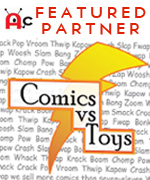 Starts on 03/31/13. Deadline midnight 04/15/13. Winner announce within 48 hrs. (CONFIRMED) I got my friend, Stephen Nettles to LIKE the Alien Cyborgs Facebook Page. Thanks! Stephen Nettles is confirmed. Thank you! (CONFIRMED) I got my friend, Tammi Starten to LIKE the Alien Cyborgs Facebook Page. Thanks! Tammi Starten is confirmed. Thank you! (CONFIRMED) I got my friend, Carol Harlow to LIKE the Alien Cyborgs Facebook Page. Thanks! Carol Harlow confirmed! Good Luck! (CONFIRMED) I got my friend, Troy Anderson to LIKE the Alien Cyborgs Facebook Page. Thanks! Troy Anderson is confirmed. Thank you! (CONFIRMED) I got my friend, Chris Mackey to LIKE the Alien Cyborgs Facebook Page. Thanks! Chris Mackey is confirmed. Thank you! (CONFIRMED) I got my friend, Rob Postuma to LIKE the Alien Cyborgs Facebook Page. Thanks! Rob Postuma is confirmed. Thank you! (CONFIRMED) I got my friend, Deirdre B. Pride to LIKE the Alien Cyborgs Facebook Page. Thanks! Deirdre B. Pride confirmed! Good Luck! Liked and shared. Gathering referrals. Thanks for the contest! I should have left this comment with my FB credentials. I got my wife and friend, Patricia Oliver to LIKE the Alien Cyborgs Facebook Page. Thanks! And She ended up being our 2,000th viewer! Congrats to her!!! (CONFIRMED) I got my friends Max Benitez and Salvador Isidro to LIKE the Alien Cyborgs Facebook page 🙂 Thanks! Both are confirmed! Good Luck! Liked, shared and I got David Goad to like Alien Cyborgs facebook page. I got my friend, Rhonda Kachur to LIKE the Alien Cyborgs Facebook Page. Thanks! Rhonda Kachur confirmed! Good Luck! 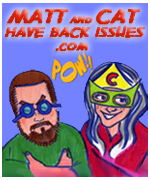 I got my friend, Matthew Scott Baker to LIKE the Alien Cyborgs Facebook Page. Thanks! Matthew Scott Baker confirmed! Good Luck! I got my friend, “Musing Trauma” to LIKE the Alien Cyborgs Facebook Page. Thanks! “Musing Trauma” confirmed! Good Luck! My FB friend Adrienne Barnes Teague liked the FB page! (please see comment above by eugaet). “Adrienne Barnes Teague” confirmed! Good Luck! I got my friend, “Spooky-robinsons Page” to LIKE the Alien Cyborgs Facebook Page. Thanks! “Spooky-robinsons Page” confirmed! Good Luck! I got my friend, “Ravonna Parker” to LIKE the Alien Cyborgs Facebook Page. Thanks! “Ravonna Parker” confirmed! Good Luck! I got my friend, “Paul Hayes” to LIKE the Alien Cyborgs Facebook Page. Thanks! “Paul Hayes” confirmed! Good Luck! “ Justin Forsythe” confirmed! Good Luck! “Neil Merschbrock” confirmed! Good Luck! My friend, “Lindsey Iemommy” liked the Alien Cyborgs Facebook Page. Thanks! Lindsey Iemommy confirmed! Good Luck! Robert Barnes confirmed! Good Luck! My friend Alysha Maree Hollingshead liked the page. My friend Anne Perrino liked the page. My friend Bethany Campbell Lizotte liked the page. Bethany Campbell Lizotte confirmed! Good Luck! My friend Brittany Linscott liked the page. Brittany Linscott confirmed! Good Luck! My friend Brittney Robichaud liked the page. Brittney Robichaud confirmed! Good Luck! My friend Emily Rousseau liked the page. Emily Rousseau confirmed! Good Luck! My friend Jazzmyne Jade Hunt liked the page. Jazzmyne Jade Hunt confirmed! Good Luck! My friend Mel OwnsThis Noel liked the page. Luis Izaguirre confirmed! Good Luck! Natalie Steele-Smith confirmed! Good Luck! My friend, “Debbie Staffieri Hudson” liked the Alien Cyborgs Facebook Page. Thanks! “Debbie Staffieri Hudson” confirmed! Good Luck! My friend, “Nathan Hamilton” liked the Alien Cyborgs Facebook Page. Thanks! “Nathan Hamilton” confirmed! Good Luck! 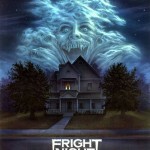 My friend, “Eoin Friel” liked the Alien Cyborgs Facebook Page. Thanks! “Eoin Friel” confirmed! Good Luck! “Anna Levine” liked the Alien Cyborgs Facebook Page. Thanks! “Anna Levine” confirmed! Good Luck! My friend, “Chantale Dupont” liked the Alien Cyborgs Facebook Page. Thanks! “Chantale Dupont” confirmed! Good Luck! “ Mark Litzinger” confirmed! Good Luck! “ Ciara Weaver ” confirmed! Good Luck! “ Frank Newby ” confirmed! Good Luck! “Nancy Araya” confirmed! Good Luck! My friend, “Victor Warren” liked the Alien Cyborgs Facebook Page. Thanks! “Victor Warren” confirmed! Good Luck! My friend, “Christopher Misch” liked the Alien Cyborgs Facebook Page. Thanks! “Christopher Misch” confirmed! Good Luck! “Paul Atreides” confirmed! Good Luck! My friend, Garick Chan, has now liked your page. Pick me for the grand prize!! Hehe.